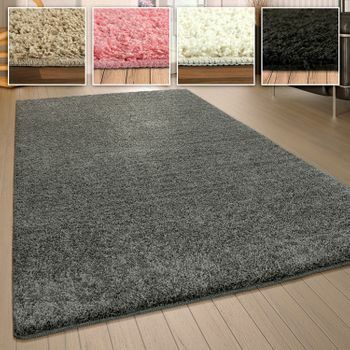 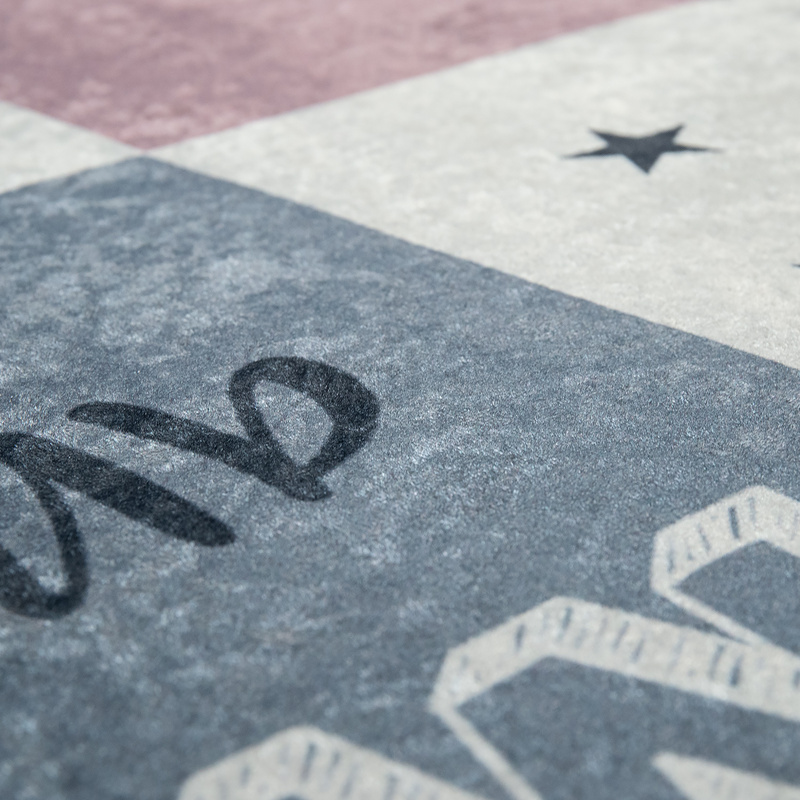 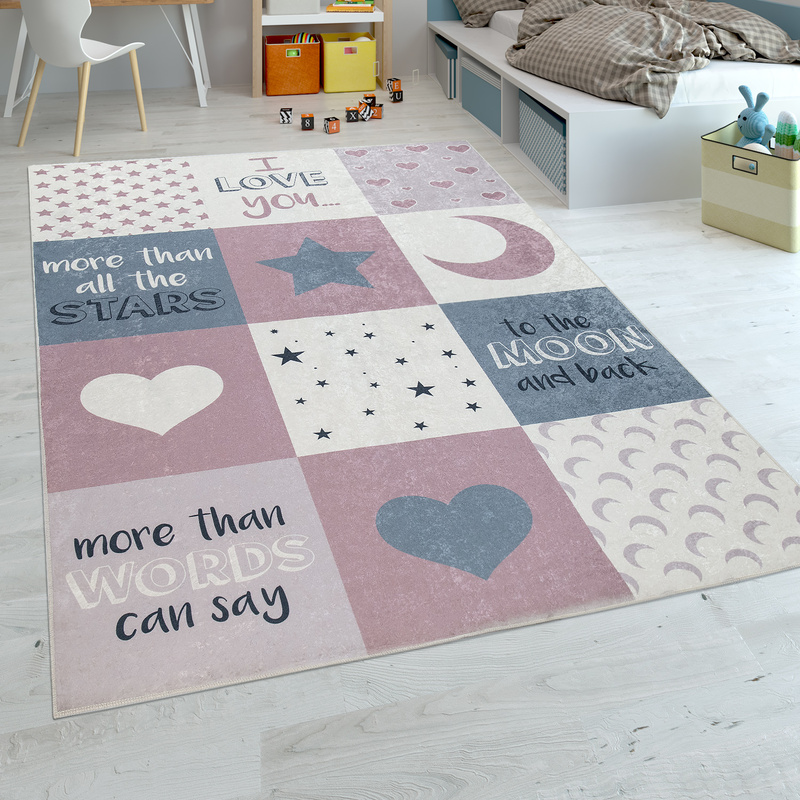 Playful and delightfully cosy: this rug makes a statement with both how it looks and what it says! 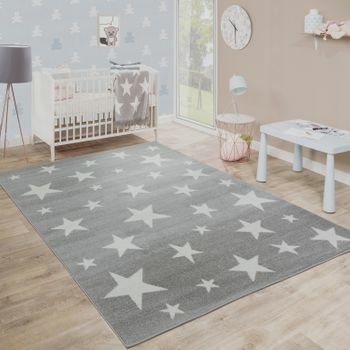 Sweet printed motifs such as hearts, stars and moons magic up a cosy ambience. 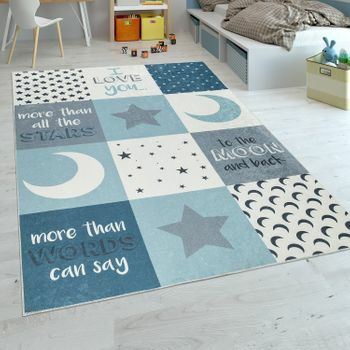 And this ambience is expressed in words with the heartfelt slogans and quotes. 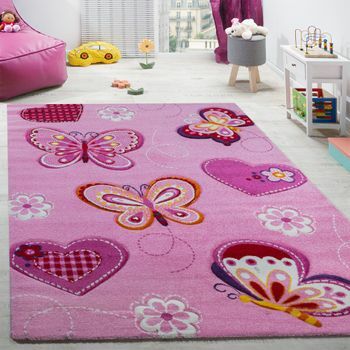 The affectionate quotes make this rug in an enchanting pink colour the perfect new accessory for your childs bedroom. 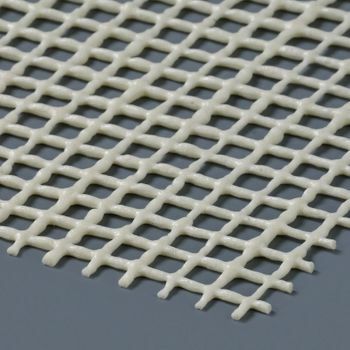 The flat weave is made from premium-quality polyester and stands out from the crowd thanks to its supreme ease of care. 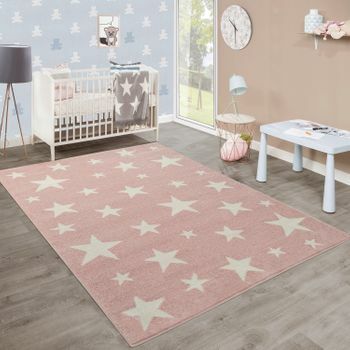 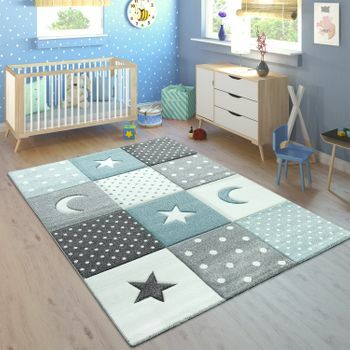 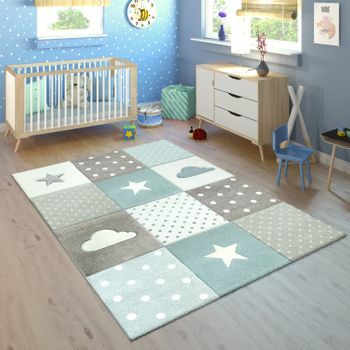 The rug is washable, hard-wearing and particularly robust, making it the ideal place for your children to play and learn. 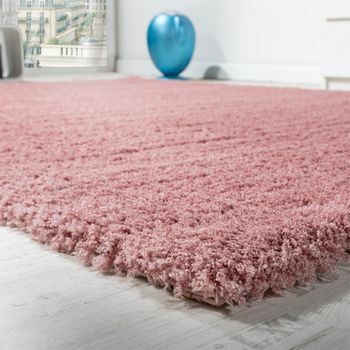 Our tip: this colourful and eye-catching rug with a delightfully soft surface is the perfect space for romping around and cuddling. 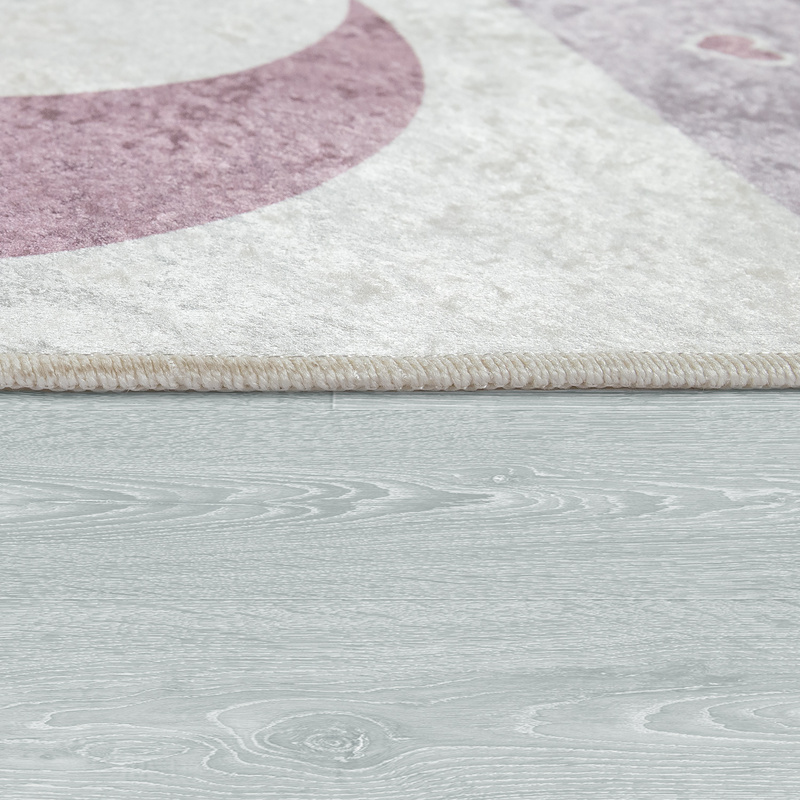 The delicate shades look particularly good against light-coloured or white wooden furniture.